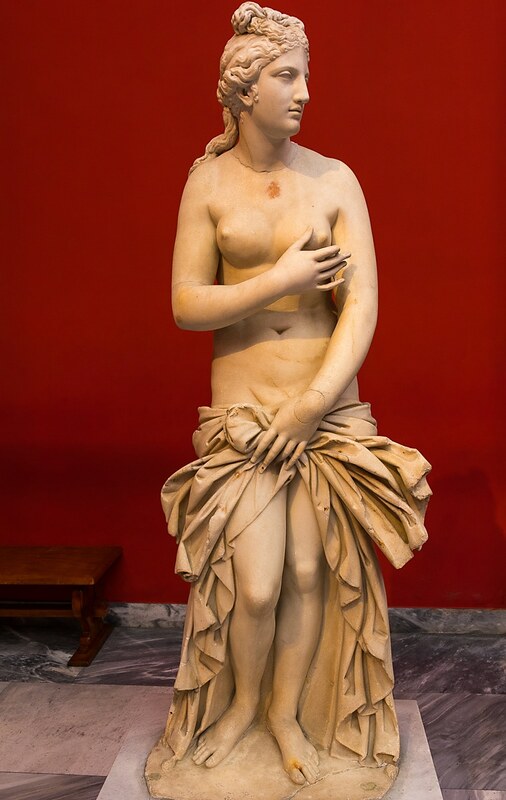 The national archaeological museum of Athens is the biggest in Greece and one of the most significant in the world. 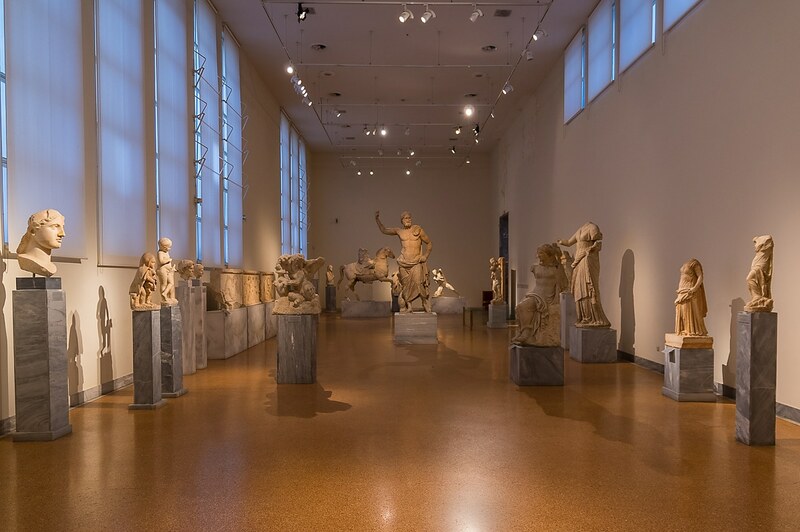 Over 11.000 artifacts belong to its five major exhibitions which stretch from the Prehistoric era until the Roman period. Located in an exquisite neoclassical building on “28th October” Avenue which was designed by Ludwig Lange except for the facade which was conceived by Ernst Ziller. It opened its gates in 1881. Crossing its front elaborate garden the first thing you notice is the beautiful facade. 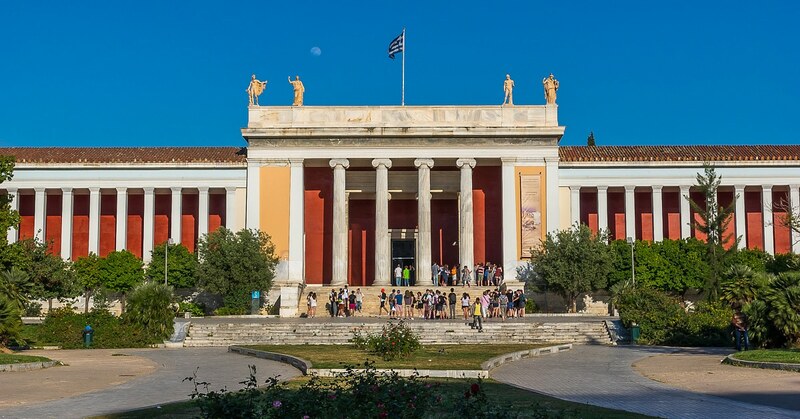 The NAM is the exactly opposite of Acropolis museum’s radical design. It is the epitome of classicism and the maroon color on the walls just adds to the impression. 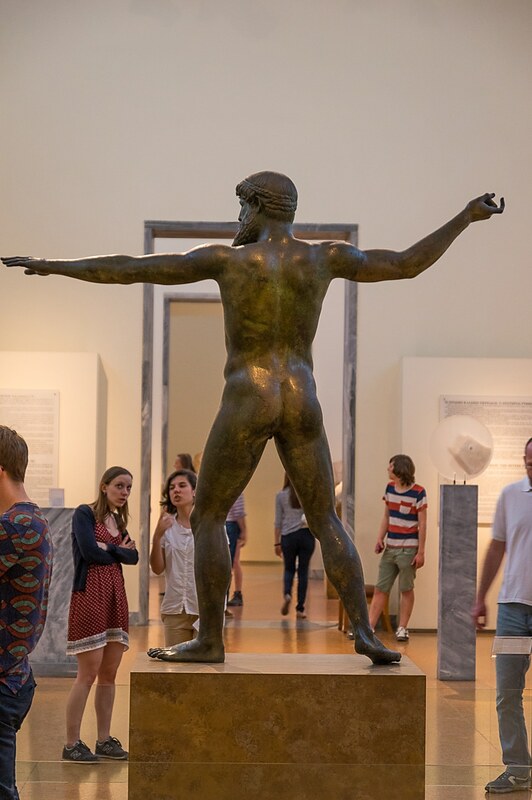 It looks and smells like a museum and that’s one of the reasons I love it. After a few stairs and two rows of Ionic columns, you are in the strict foyer. Under the tall ceiling, are three doorways four meters high, each with a marble frame and a golden decorative edge. One in the front, one left and one to the right. Each one leads to a long hall and even though they reach only halfway to the ceiling, they still manage to belittle everyone who steps through them. 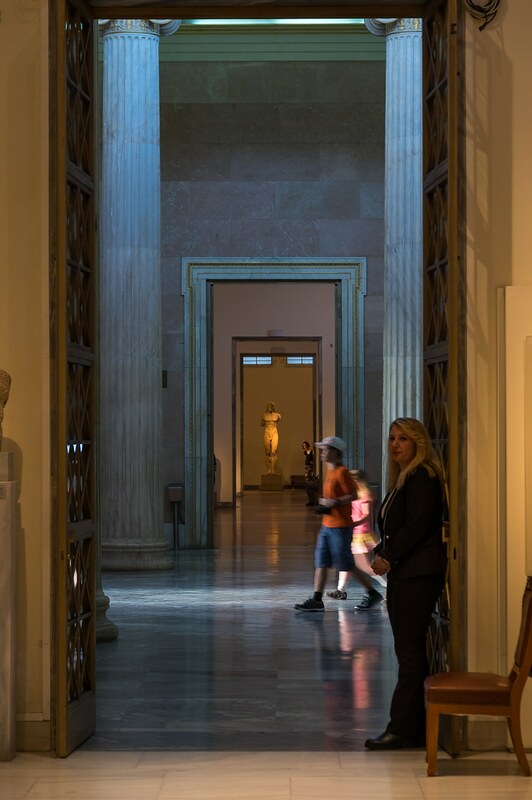 Looking beyond, you can see another doorway which has another doorway inside and then another one, creating an optical illusion which is broken only by the different exhibits located inside each gallery. The two side halls soon turn to the east and follow a parallel course with the central one, which they will meet again by turning inwards after 50 meters thus forming the main wing of the museum and two internal yards that provide natural light for the exhibits—through big windows located near the ceiling. 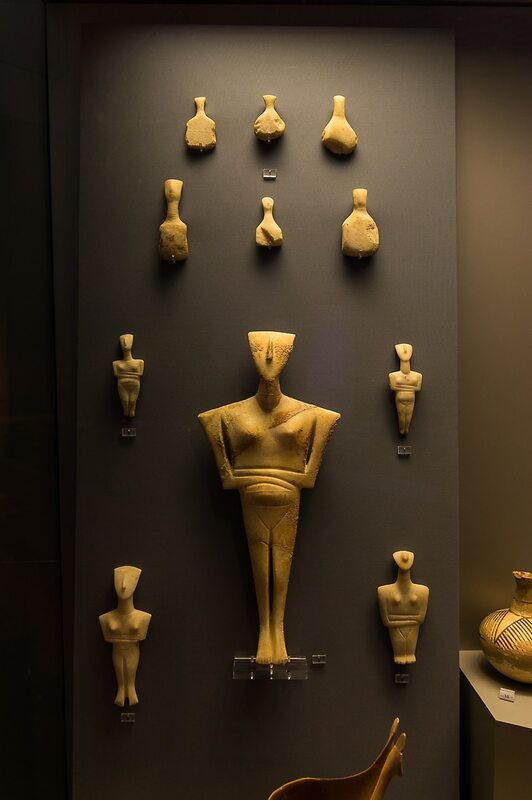 In the galleries you will find everything from coins, pottery and jewellery to Mycenaean daggers more than three thousand years old. 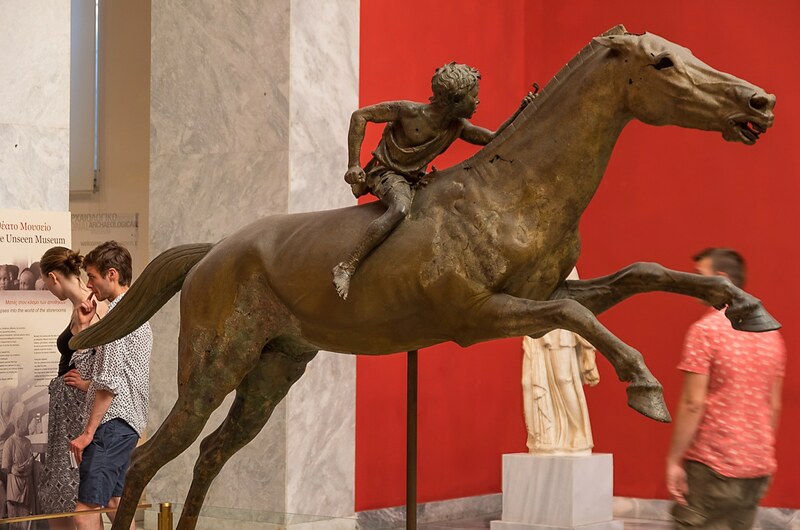 And from simple but beautiful kouros statues to exquisitely crafted sculptures with anatomy that challenges that of living beings—like the “Jockey of Artemision” who looks like he is going to storm the hallways on his formidable racehorse any minute now. 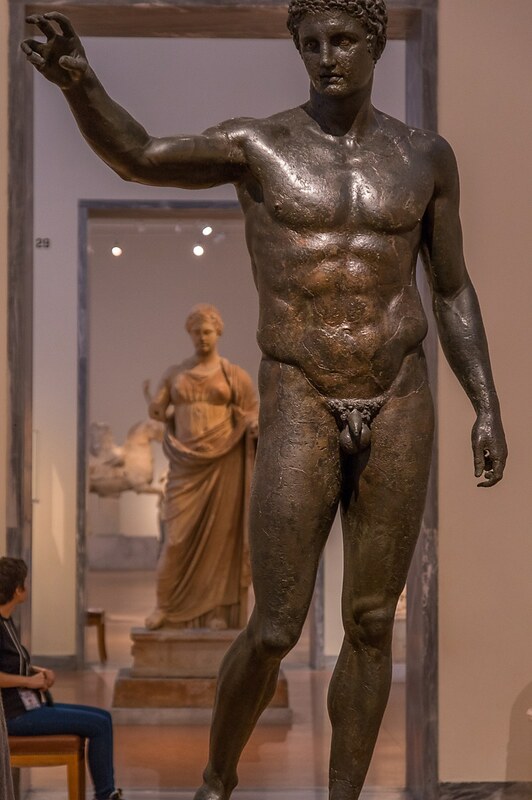 The archaeologiacal museum hosts two iconic sculptures among others. 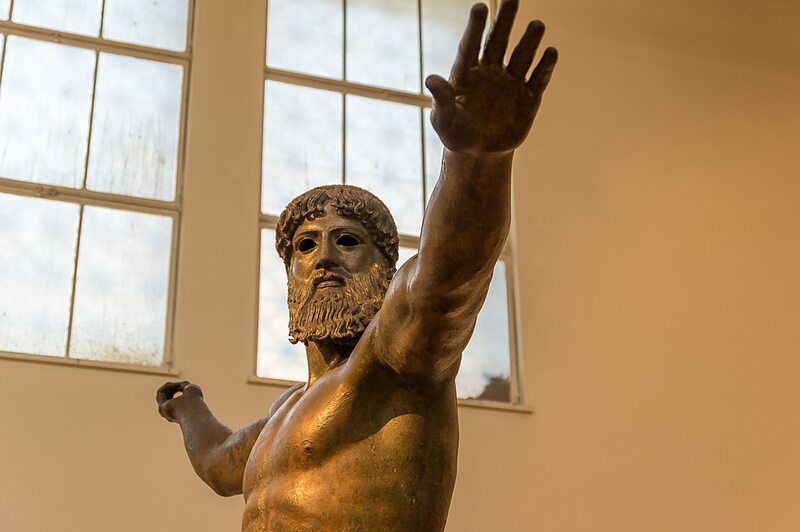 The impressive bronze statue of Artemision which depicts Zeus or Poseidon on a dramatic stance with the god holding a missing lightning or trident respectively. 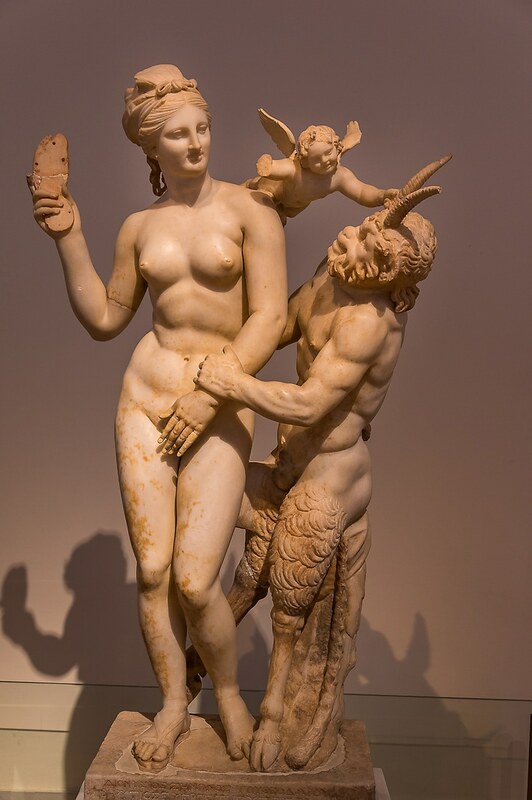 And the marble statue of Venus and Pan—with him making unethical advances at her while she is ready to hit him with her sandal and little god Eros is pushing him back. Another artifact of great interest is the Antikythera mechanism. The ancient astronomical computer that since it was salvaged from the bottom of the sea, has stirred the imagination of the scientific world about its abilities and all its mysteries that remain to be deciphered. 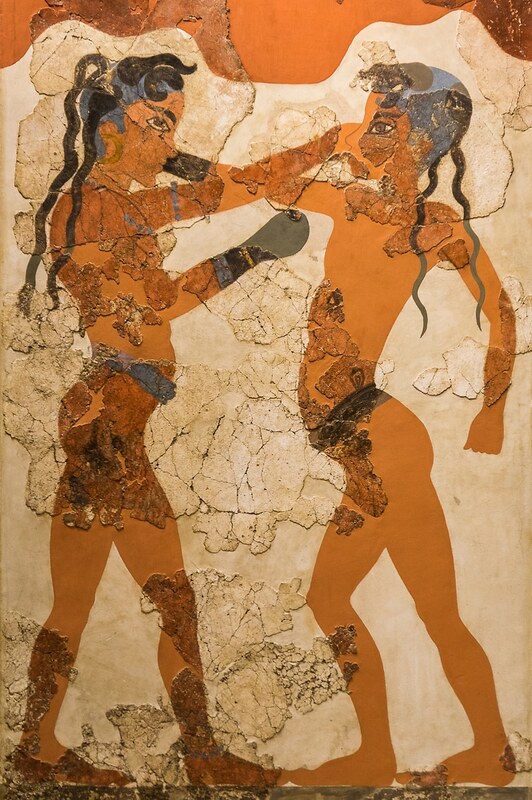 The Egyptian collection is one of the most remarkable in Europe and shouldn’t be missed either. Needless to say that like every decent collection in the world it has a sarcophagus and a mummy among its exhibits. 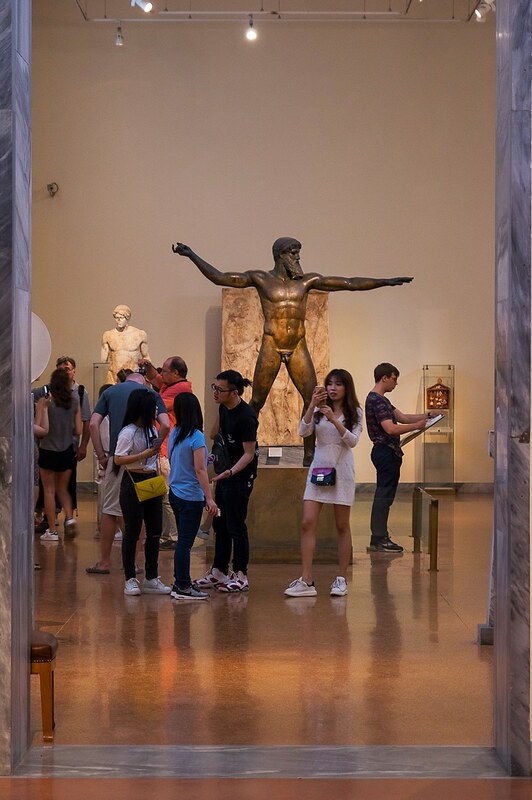 Because of the sheer number and diversity of the exhibits, the museum is popular and consequently crowded. But there is more than enough space to accommodate everyone. 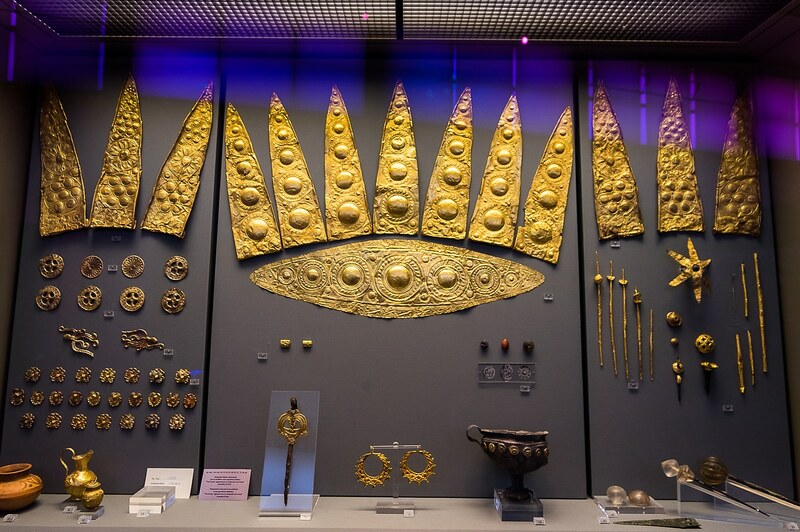 It is an amazing place where you can see in flesh wondrous artifacts that emerged from lost worlds that existed millenniums ago. 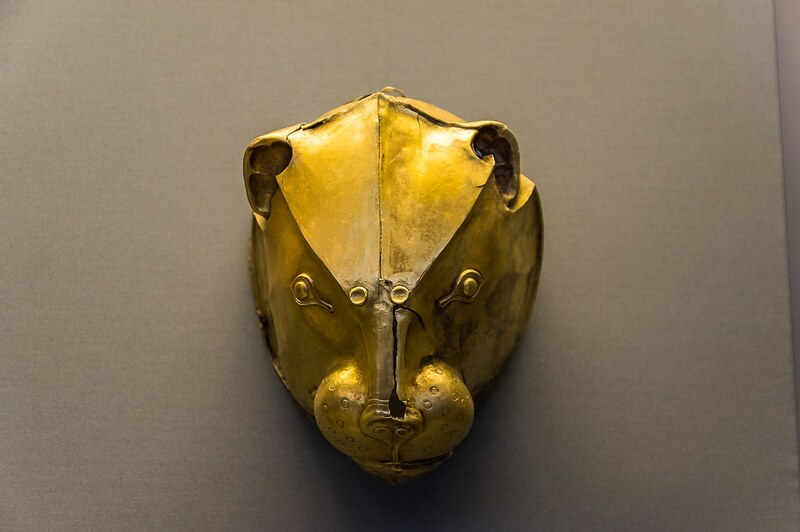 Be those everyday items, weapons, pieces of art or mysterious scientific instruments. 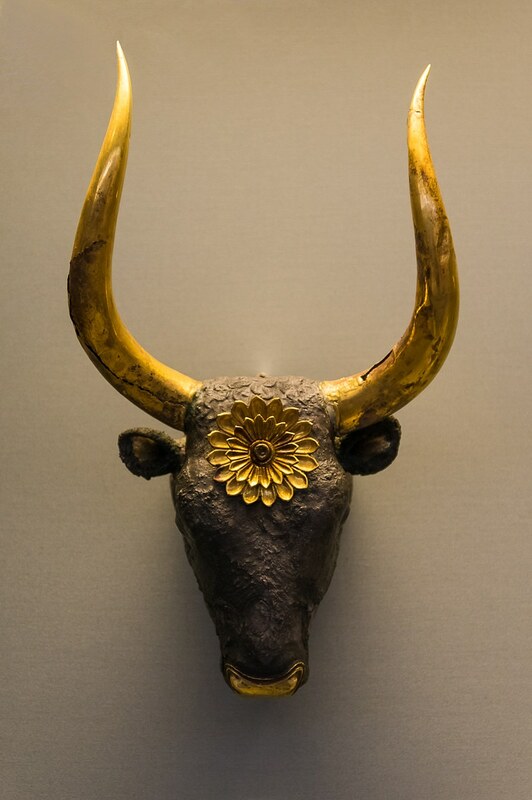 Prehistoric Antiquities : 6th Millennium BC to 1050BC with Neolithic, Cycladic and Mycenaean artefacts. 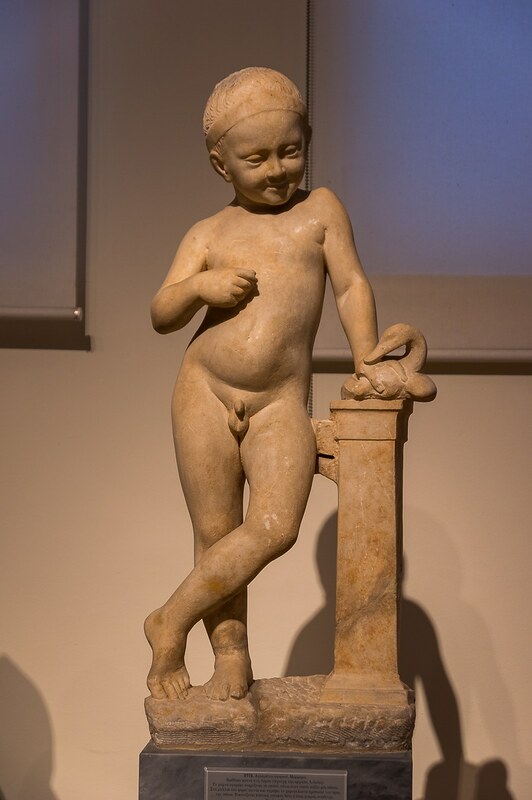 Sculptures Collection : 5th until 7th century BC masterpieces. 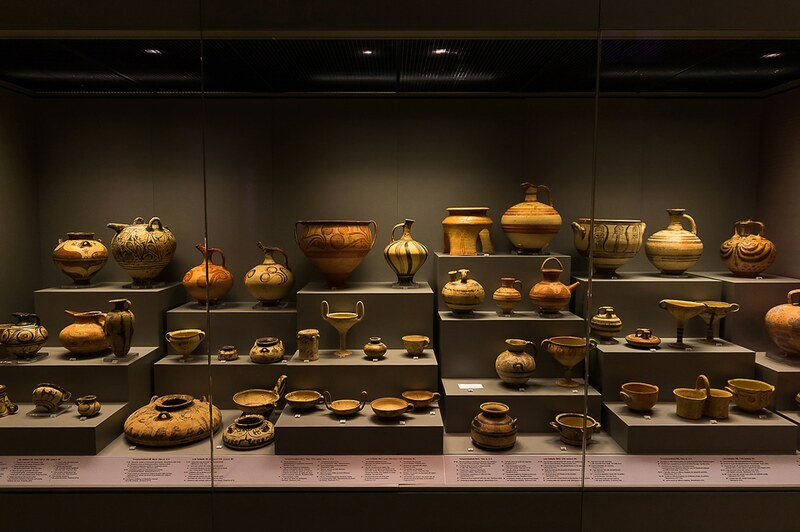 Pottery and Minor objects collection : 11th century to Roman period. 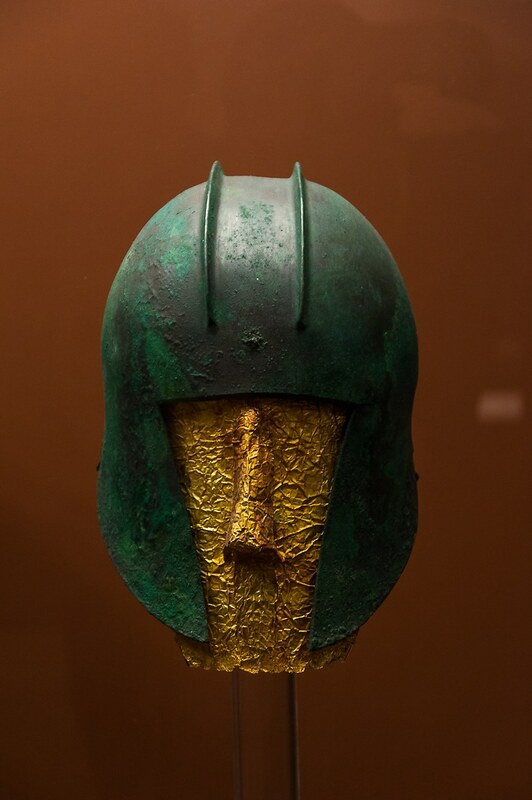 Egyptian Antiquities : From Predynastic period to Roman era. 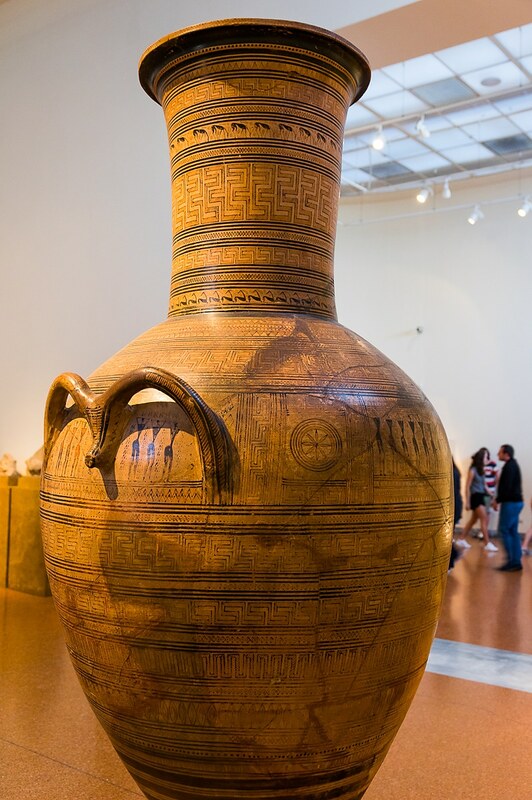 Cypriot Antiquities : From 2500BC to early Roman period. 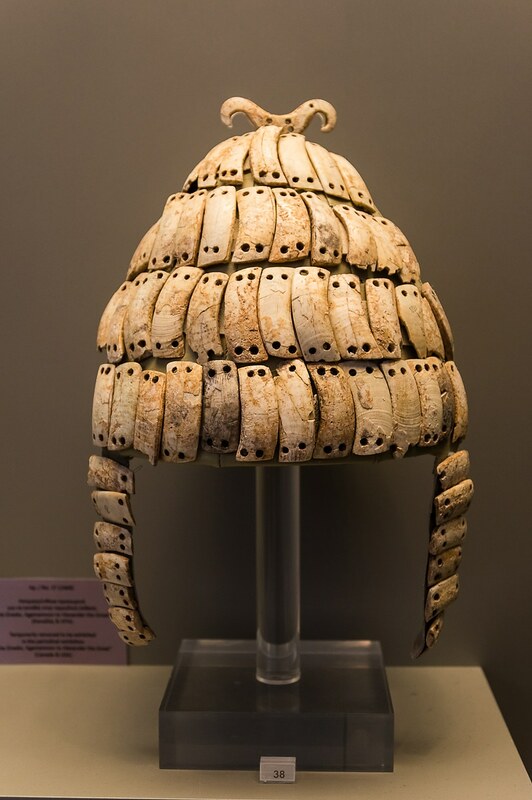 There are also several temporary exhibitions hosted frequently many of which are very impressive and you can find about them in NAM’s website.